which is upheld by our skilled workers. Lessebo Mill is located in a densely forested area right between large shallow lakes in the inland region of Småland. It is an area characterized by small scale farming and the traces it has left behind. It is also an area with a long and diverse history of production. As early as 2000 years ago people utilized the forest and the iron rich lakes to produce iron. In 1662 Lessebo Mill started as an iron mill; utilizing wood, lake iron and hydropower, which was the first industrial operation in the area. Slowly during the years, paper took over as the main product. When paper production started in 1693 the first and most important customer was the newly established naval base in Karlskrona. This was a long time ago and today Lessebo Bruk is a mill with complete focus on forest based products with a modern product mix of graphical papers. 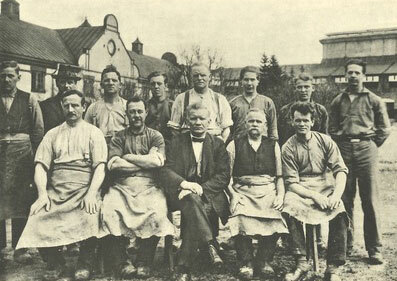 Workers in front of the hand paper mill, circa 1927. Erik Knutsson bought land between the lake Läen and the lake Öjen with a plan to start producing different kinds of iron. Lessebo mill started as an iron mill; utilizing wood, iron ore from Läen and hydropower. The production of cast iron was the first industrial operation in the area. 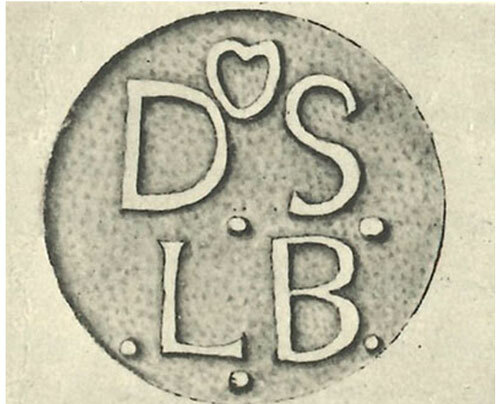 Stamp used to mark products from Lessebo iron mill. 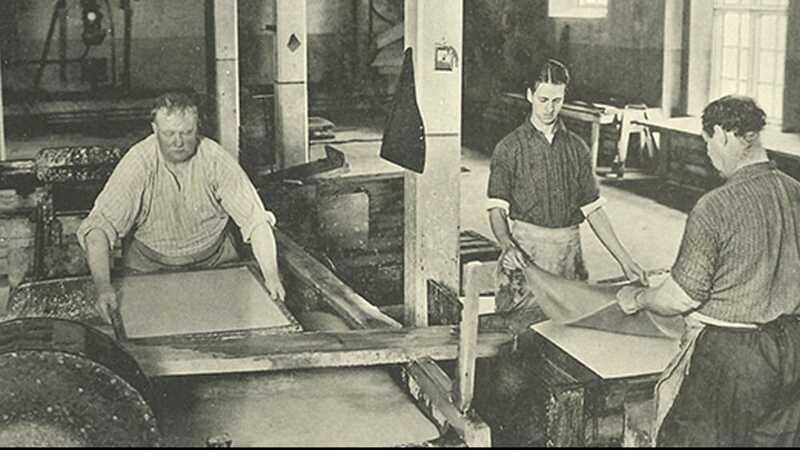 Slowly during the years, handmade paper took over as the main product. The customer Lessebo had was the newly established naval base in Karlskrona. Workers at the hand paper mill in 1934, a process that has been the same since 1693. Lessebo mill received permission to produce and sell paper by the Swedish National Board of Trade. The Swedish Navy guaranteed that they quality of the paper held a high standard. 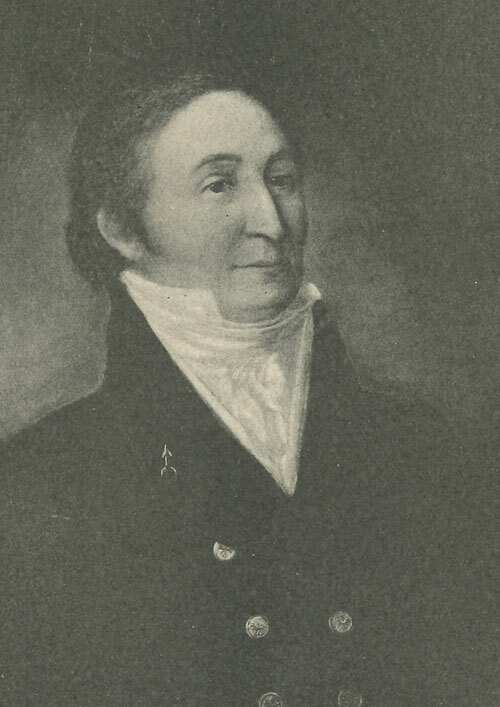 Johan Lorens Aschan was the owner of Lessebo mill 1802-1856. Aschan made a great impact on Lessebo during his time as an owner by arranging healthcare and education for all the employees at Lessebo iron- and paper mill and the adjacent businesses. The owner of Lessebo iron- and paper mill at that time, Johan Lorentz Aschan, bought Lessebo’s first paper machine from England. Lessebo paper mill invested in the construction of the railway system in south of Sweden. The investment made it possible to have an influence on the railways’ route and Lessebo got a railway station. Lessebo mill stopped the production of iron and the production of paper became our core business. Decision was made to build and start an integrated pulp mill. The pulp mill was taken into action a few years later. Lessebo paper mill got its first FSC Certificate. Lessebo paper mill invests in two new sheet cutters, one optimized for cut-size formats and one optimized for folio sizes. A ream wrapping machine and a pallet wrapping machine were also acquired. The investment also entailed a new warehouse. Lessebo Paper became a privately held company. Lessebo Paper is celebrating 300 years of commercial paper production.